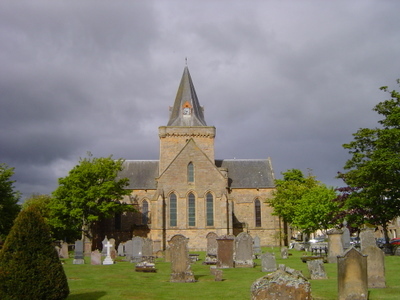 There are no Commonwealth War Graves Commission graves in the Dornoch Cathedral, St Barr's graveyard but two WW1 servicemen, one WW2 member of the RAF and one old soldier are commemorated on family headstones. 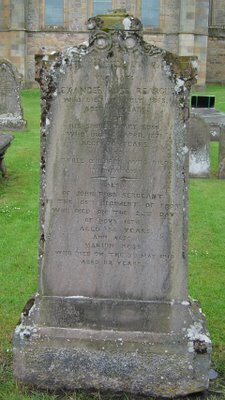 Commemorated on the family headstone in St. Barr's Burial Ground, Dornoch Cathedral. 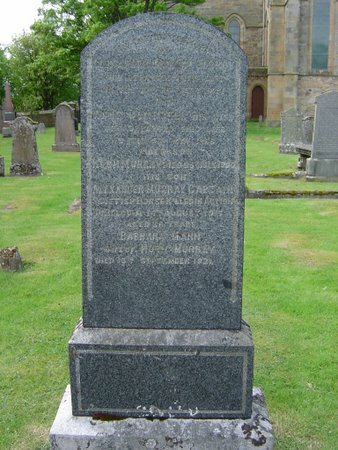 St Barr's Grave/Memorial Reference: . Grave inscription: "In loving memory of Alexander Murray above who departed this life on the 18th Sep 1881 and Ann Campbell his wife who departed this life on the 3rd May 1860. Their son Hugh Murray died 26th July 1920. His son Alexander Murray, Captain, Scottish Horse, killed in action in Belgium 14th Aug 1917 aged 35 years." Headstone inscription: "In memory of the late Alexander Ross, Reargher (below), who died 18th July 1858 aged 67 years. Also his spouse Mary Ross who died 5th April 1871 aged 78 years. Also three children who died in infancy. Also of John Ross, Sergeant in the 65th Regiment of Foot who died on the 22nd day of Nov 1874 aged 54 years. And also Marion Ross who died on the 3rd May 1910 aged 82 years."